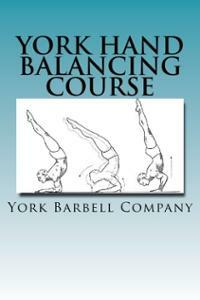 Includes both York Hand Balancing Courses 1 and 2. DID YOU EVER NOTICE when you see a group of strong men together that, sooner or later, they take time out for some handbalancing? Handbalancing to a bodybuilder, a weightlifter or any barbell man, is as natural as a duck taking to water. I think one reason for this is the fact that barbell trained men are so much stronger than others that the difficult balancing stunts are to them very easy. Furthermore, lifting barbells has given them unusual co-ordination which is very necessary to the would-be balancer. The purpose of this course is to instruct the beginner in the rudiments of handbalancing, correct the errors that most handbalancers make and explain the more popular feats and routines to him. We will start off with the very simplest form of balance and work up to the extremely difficult feats known only to a few professionals. We will go through a discussion on the theory of balancing ? the knowledge of which will turn the average handbalancer into an expert. If you properly digest this First Course you can, in a few months time, become quite proficient at balancing. The Second Course takes the proficient hand balancer and turns him into an expert with moves like the lofty One Hand Handstand and much more.